"I envision this place to be a small room with wrapping paper, ribbons, sewing machine, scissors, glue gun, wire and other crafty things that can be easily accessible. 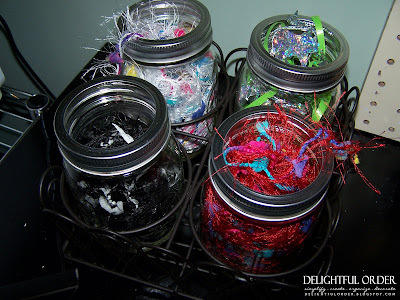 I want a place that I can run into to wrap a gift quickly, or somewhere that I can do a craft and if I need to leave it out I can just close the door. Maybe peg boards? It also houses the printer. " attaching pegboard to the wall, we got exactly that. A TIP FOR YOU: if you have a small space - think vertical! You can get so much storage, going UP! 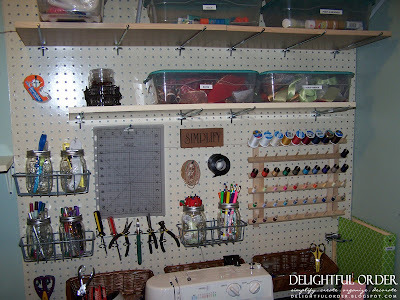 Shelving was added to the pegboard. Some NEW and some USED . 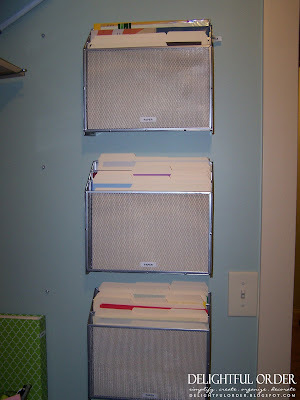 . .
We reused those shelves that we removed from the Ikea bookshelf. Most of the bins here on the shelves are from the dollar tree. I love the simplify sign! My motto is: simplify. create. organize. decorate. I NEED to get a sign like that for myself. Canning jars make great storage for markers, pens, etc. 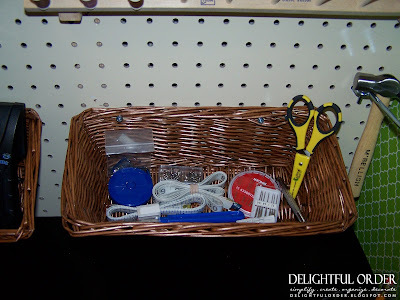 Jaycee had these baskets kicking around... so up onto the pegboard they went. The printer got a new stand... and it also gave us more storage room. 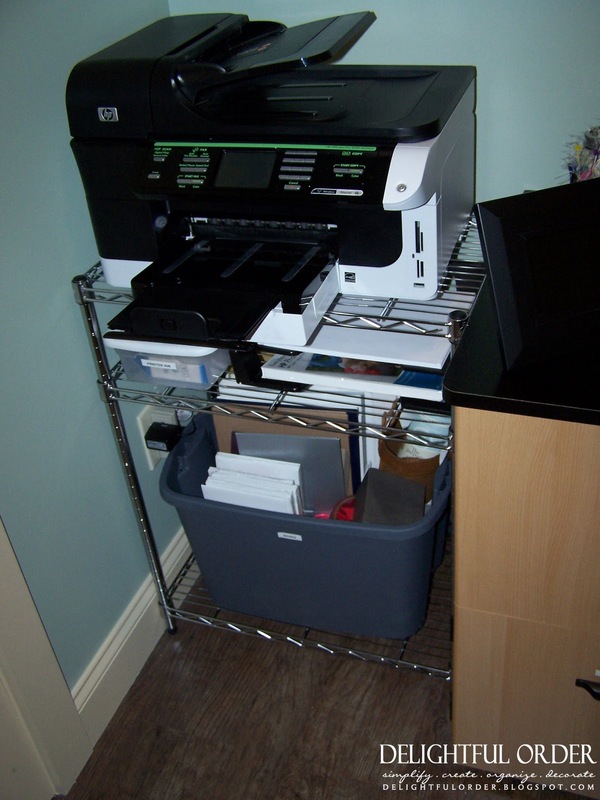 The shelf underneath the printer holds paper and a bin for toner. Canning jars are also great to hold ribbon and such. 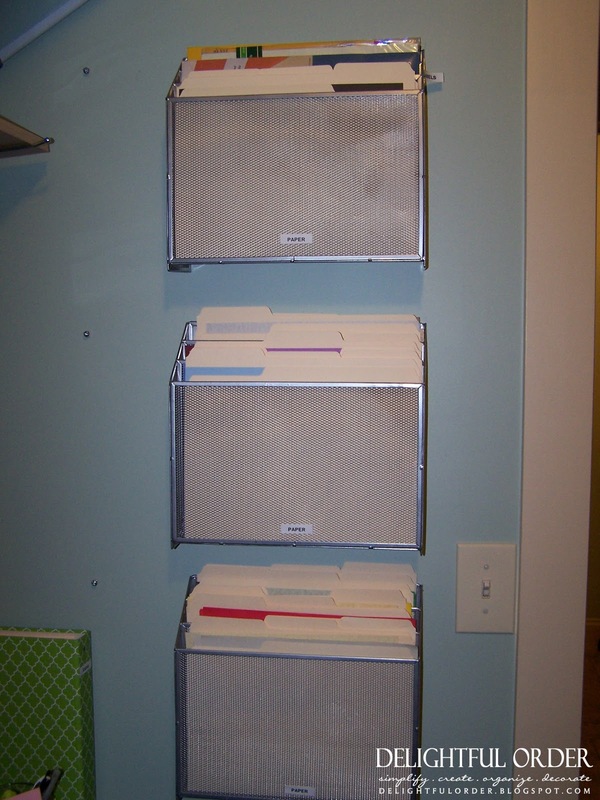 Folders were created for all her 8 1/2 x 11 colored papers. 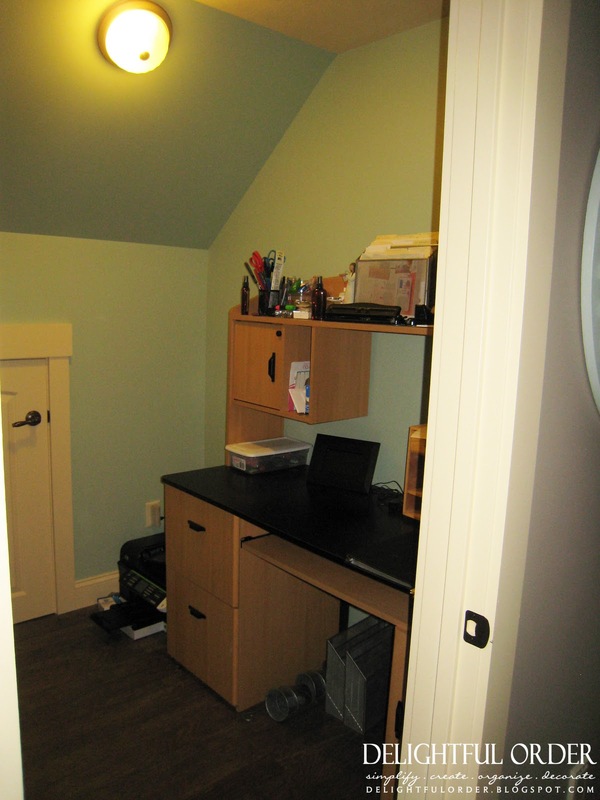 NOW for the before and afters of Jaycee's craft room . . . I know Jaycee loves this space. Everything is easy to find and easily accessible, which is exactly what she envisioned. oh man! Such an awesome space. 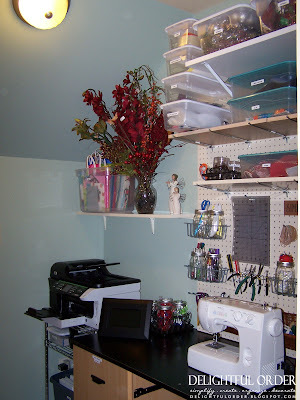 I wish I had room to have craft room! 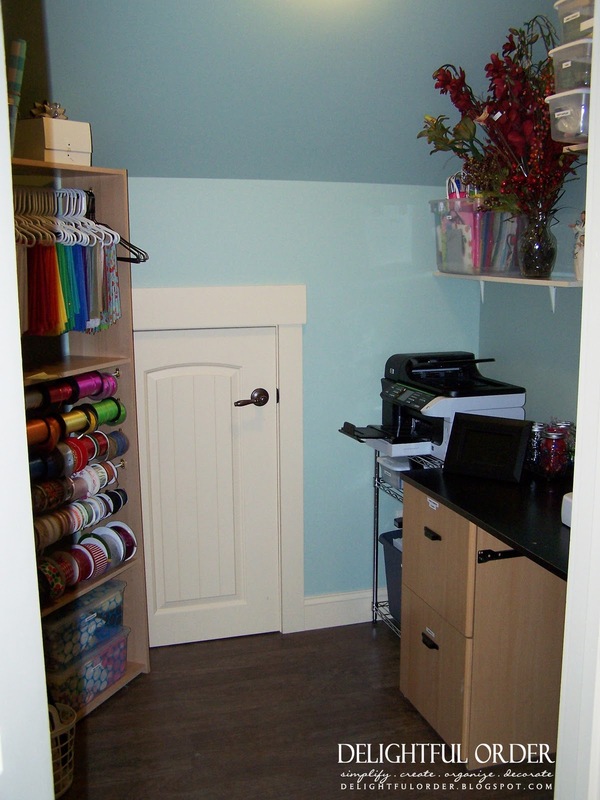 How about creating a craft closet or do you have an empty armoire? Is that an option for you Ashly? AWESOME makeover. I just love what you do. cupboard. :( I do have lots of canning jars...I might have to put some of them to use. :) Thanks for the great ideas. I love this! You did an awesome job. I actually came to your site to get some ideas of how to decorate my house! I'm going to do some new posts showing the rooms in my house and asking for help! I'll use the linky so ppl can link up their own posts or posts they see elsewhere. I know I'll get some ideas here... so I'm going hunting! lol Thanks! This is literally a dream of mine! 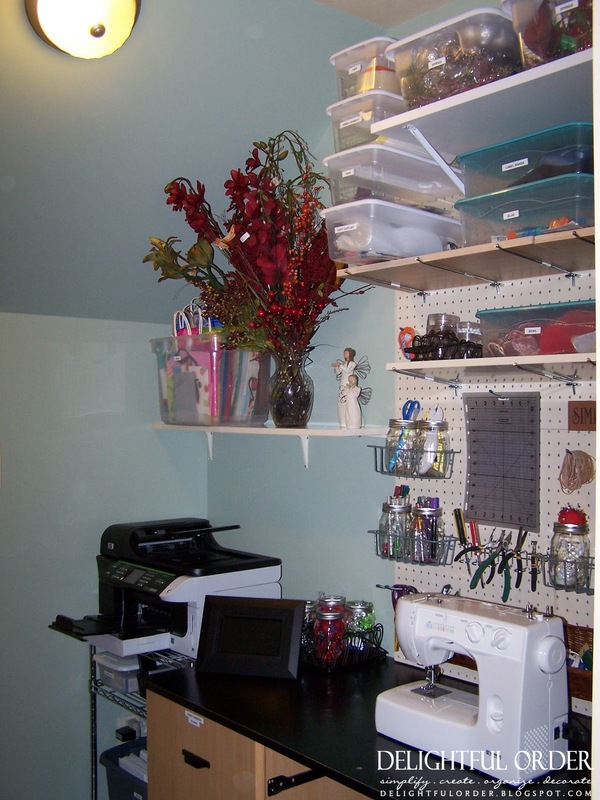 A craft room of my own. Right now, our kitchen table is my craft room and my hubs is not a huge fan. Great job, very organized and inspiring! This looks awesome as usual. 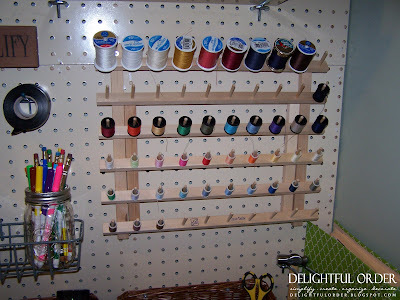 I love pegboard. 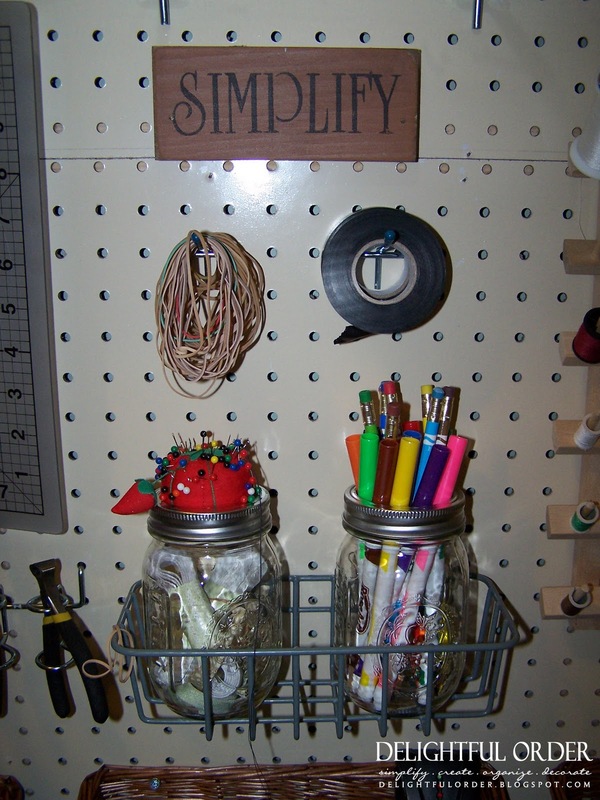 Love the mason jar pen holders and the spool thread holder. I am loving the pegboard; that gives so many more storage options for tools and things. Beautiful! 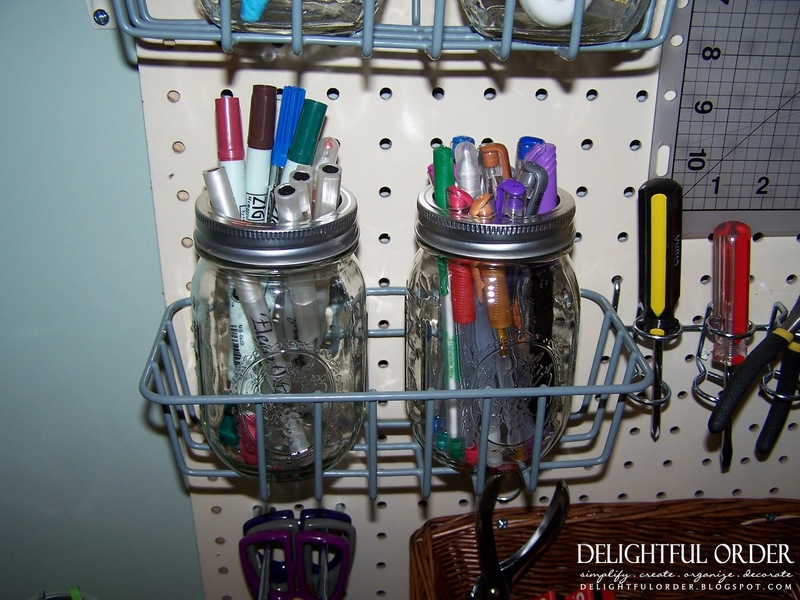 Gotta love beautiful & functional organization! It looks fantastic, great job! I'm in love with your craft space. Mine needs an overhaul like yours. And you did it all on a budget!! Thanks so much for linking up to Terrific Under Ten! Oh wow! Definitely inspiring. Thank you for showing me what heaven looks like! What a lovely vignette! I adore a clean space. Have a wonderful Fat Tuesday! As usual...you do a fantastic job of organizing! I LOVE to organize too, so we have a lot in common! Everything is so pretty as well! Great job! 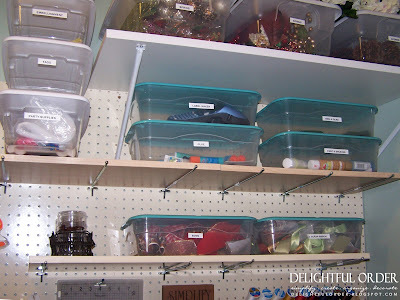 Thanks for sharing this blog...I'm looking to organize my sewing studio with shelving units... Great makeover! I always love looking at other people's craft rooms to get ideas on how to better organize mine. Thans for sharing it looks great! Fantastic job! It looks SO AWESOME! Your blog is an inspiration. 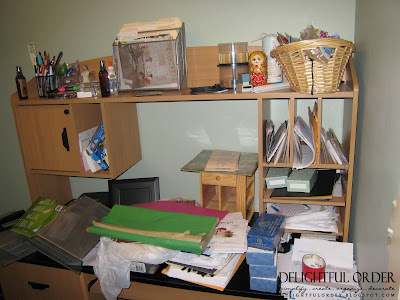 We have a little free family time today and we're going to spend it organizing! I'm adding your blog to my posted list of blogs. Thanks for the ideas! Very cool! 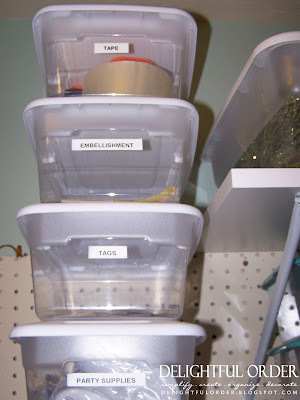 Besides canning jars, you could use the plastic containers that drink mixes come in. My family drinks a lot of Crystal Light and other similar drinks... We just take out the labels and use them to store that sort of thing.